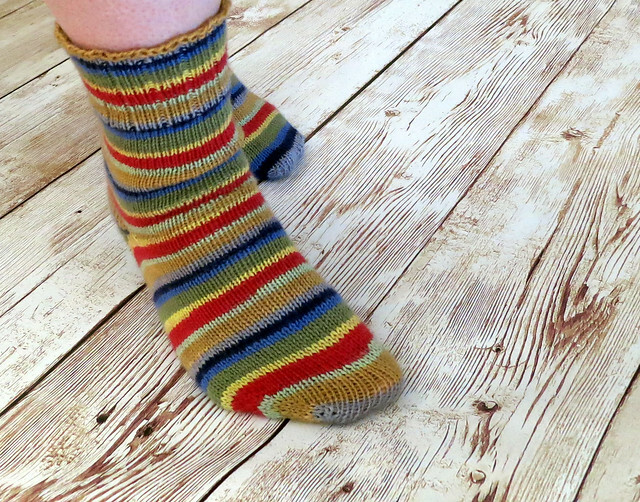 I believe everyone should knit rainbow socks. They really improve your mood when knitting/wearing them! As I talked about in a post last month, I decided to try the Fish Lips Kiss Heel for these socks. I am so glad I did. They fit my feet perfectly! The yarn I used is KFI Luxury Indulgence Cashmere in color 609. I knit the second sock with the color sequence going in the opposite direction as the first sock. I'm not one that cares about super matching socks. It kept things a little interesting while working on the second one. I ended the socks with a K3, P1 rib and a yarnover bind off that was nice and stretchy. I have some other rainbow yarn in the stash. I'm sure I'll be casting on more rainbow socks with this heel very soon! I would love to hear if there are other sock heels you have tried and loved. I'm loving the FLK heel and will be using it again, but would love to hear about other ones too. 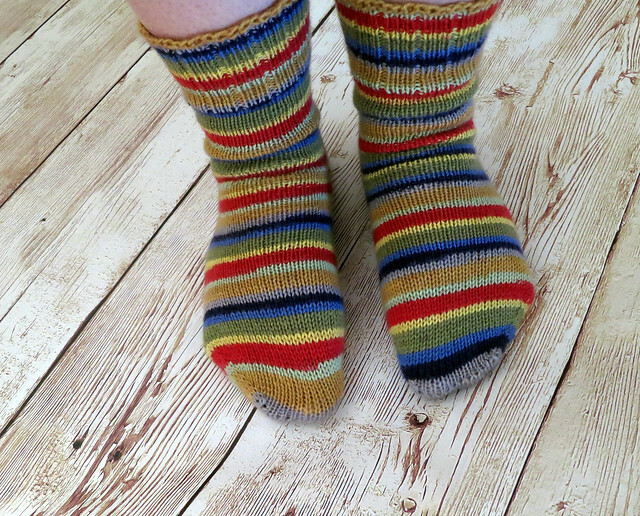 I'm hoping that 2015 will be the year of the stripey socks for me!